Note: This document is updated weekly to reflect changing prices and new products. 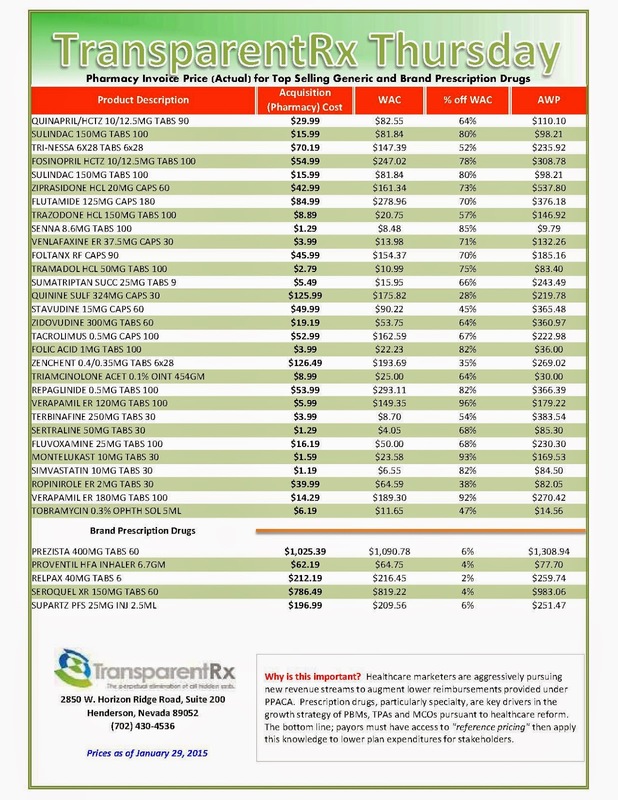 Did you know that pharmacies (and PBMs) often negotiate discounts on prescription drugs which aren't reflected in AWP, WAC or MAC prices? The only way to be sure you're receiving these discounts is to gain access to invoices.